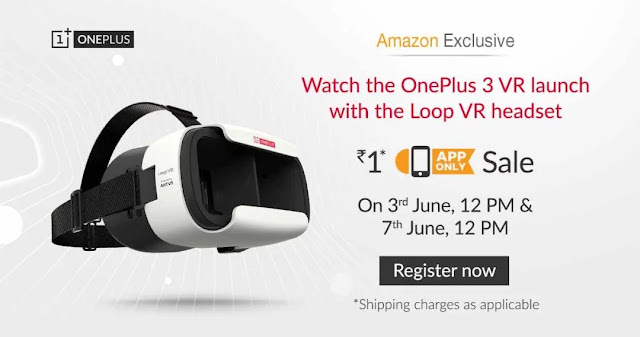 Amazon Exclusive - Get OnePlus Loop VR headset only at 1Rs: Amazon is Selling OnePlus Loop VR headset only at 1Rs on June 3rd & 7th, 2016 at 12 noon. This is App only Offer. For All Details Click on Below Pictures. Only Registred Users can Buy This Product. 1. Only registered Users can Buy This Product. 2. Orders can be placed from Amazon App Only. 3. Only One Device is permitted per Customer.